Famous in Europe, unknown here, Inger Christensen is a formalist who makes her own rules, then turns the game around with another rule. 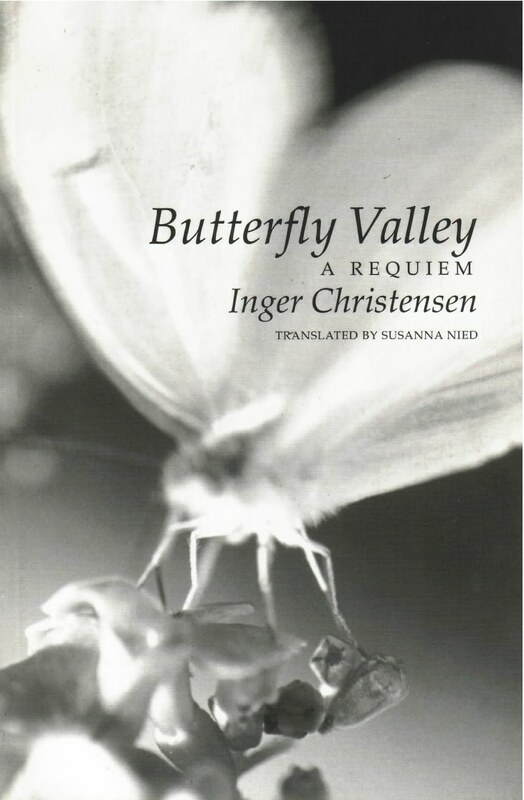 Inger Christensen, often cited as a Nobel contender, is one of Europe’s most revered poets. Winner of the Nordic Prize of the Swedish Academy and the Austrian State Prize for Literature, she is perhaps best known for her groundbreaking work Det (It), a cycle of poems published in 1969. Her first book published in the U.S., alphabet (New Directions, 2001), met with a tremendous response: “Seductive,” said Boston Review; “A visionary reincarnation of the natural world in the atomic age,” wrote Chicago Review. Butterfly Valley: A Requiem collects four medium-length works, each startling for its beauty and formal innovation. “Butterfly Valley” is a sonnet cycle which describes the glowing color and beauty of butterflies, and also their fragility and mortality. Memory is uncovered in the poem like the fluttering of their wings. In “Watersteps,” the fountains and piazzas of Rome coalesce, brought alive in the imagination by the poem’s shifting rhythms, lines, and overall structure. In “Poem on Death” the poet seeking immortality faces the whiteness of the page as the blankness of death: “it feels so odd! immodest to think / about death when no one / you know has died / it means that each time / you look at yourself in the mirror / you look death in the eye / without crying / like a clear and fully! comprehensible answer / but to questions / you dare not ask.” “Meeting,” written in extended sections, describes a “coming together,” yet examines our failure to connect and the ability of language to overcome this.